Infighting within Labor faction continues as Arab MK refuses to back down on controversial statements justifying terrorism. The storm over MK Zouheir Bahloul’s (Zionist Camp) controversial comments last week reached new heights on Sunday, with more of the party’s leadership piling on with criticism and condemnation. "The word 'terrorist' is becoming all-encompassing and turns every Palestinian into one," Bahloul said during an interview. "Anyone who struggles for his freedom and for his independence is a terrorist in the eyes of the Israelis," he said, justifying the terror attacks. "From the point of view of the (Israeli) people, every Palestinian who struggles his struggle in order to remove the injustice of the occupation is thought to be a terrorist." In spite of the firestorm that erupted after those remarks, Bahloul refused to back down. During a debate with MK Avi Dichter (Likud) in the northern town of Acre, Bahloul doubled down on his comments, justifying attacks on Israeli soldiers and claiming that Israel was not his country. "I have said that anyone who attacks innocents, who enters a house where children and women are sleeping, and cut short their lives can be described in any terms, including terrorist. But soldiers? They are the symbol of the occupation. What should Palestinians do after suffering under the occupation for 49 years, after losing their lives, after searching for their freedom and independence and not receiving anything? They see the soldiers are symbols of the occupation." When Dichter pointed out that Israel was "your country," Bahloul replied: "This is the Jews' country and not the Arabs' country." 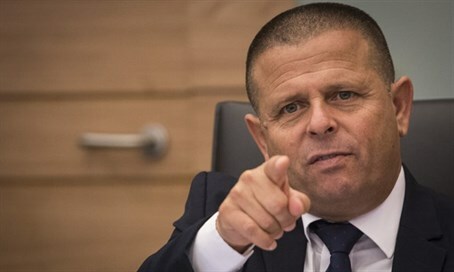 On Sunday Eitan Cabel (Zionist Camp) a senior figure within the Labor faction, castigated Bahloul during an interview on Army Radio, arguing that he had placed himself outside of the party. Former Labor Party chief Shelly Yechimovich (Zionist Camp) also joined in, suggesting that Zouheir had no place within her party. Bahloul did find some support, however, from MK Issawi Frij (Meretz). Frij blasted the Labor faction for its criticism of Bahloul, arguing that his claims were factually correct. The rush to judge him, Frij argued, revealed Labor’s hidden bigotry against Israeli Arabs.